The Edinburgh International Film Festival (EIFF)is always an inspiring, glamorous and fun event bustling with celebrities, new talents and the great and the good from the world of cinematic film. Charlie Miller hairdressing were delighted to be working in association with the festival again and our stylists had a wonderful time looking after the stars before they stepped out on the red carpet. This year’s Festival showcased over 160 features and 130 shorts from 55 countries, and included 22 World Premieres, 5 International Premieres, 17 European Premieres and 85 UK Premieres, reaching 51,947 Festival goers across the 12-day period. An additional 9,000 people enjoying the Festival’s weekend of outdoor screenings, as part of Film Fest in the City. More than 500 filmmakers were in attendance this year to support their films. Huge congratulations to all the team at EIFF on all their hard work in producing this world class event. 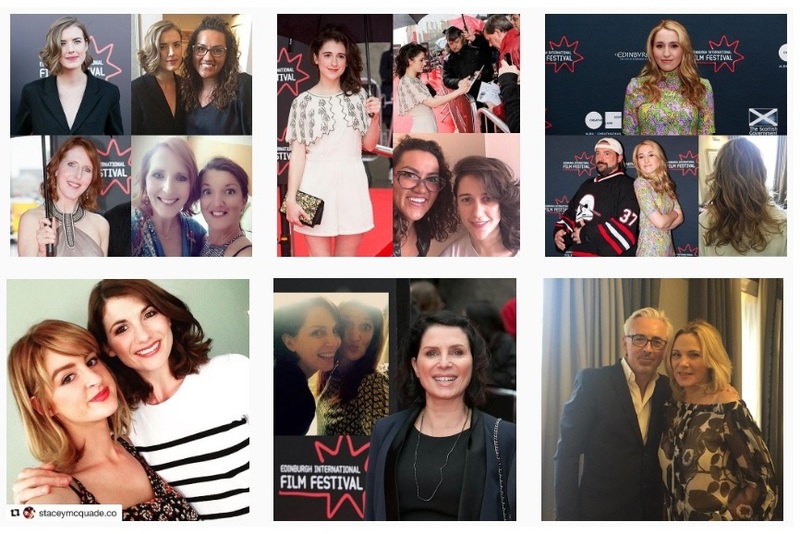 Below are a few snapshots of Agness Deyn, Sadie Frost, Fenella Woolgar, Ellie Kendrick, Kim Cattrall, Jodie Whitaker and Harley Quinn Smith who Jason, Natalie, Karyn, Allana and Stacey had the pleasure of looking after this year. We can’t resist including this tweet which Kim Cattrall posted on twitter which quite simply made our day! Have you picked up your copy of our 50 Years Together magazine yet? A gift to our wonderful clients as we celebrate fifty golden years together. Keep up to date with all the latest news, events and competitions from our five Edinburgh salons, international industry events and photo-shoots by connecting with us on Instagram, twitter and Facebook . Search our hashtags #cmhairdressing #50YrsTogether and do keep sharing your own photos from our salons, we love to see your new looks!